Central Jakarta Public Housing and Settlement Area (PRKP) Sub-dept. will build three RPTRAs this year. Currently, its construction process is still in auction phase.
" 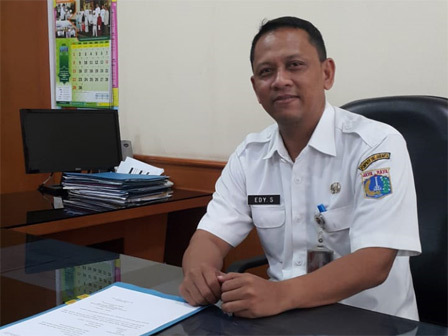 Budget allocation per RPTRA is Rp 1.5 billion and its construction is targeted to done in 3-4 months"
"It has entered auction phase and I hope we can get the winner and construct it soon," expressed Edi Suryaman, Central Jakarta Public Housing and Settlement Area (PRKP) Sub-dept. Head, Thursday (5/17). According to him, auction has been started since April in three locations on Jalan Rawasari Barat, Cempaka Putih Timur Urban Village with 1,300 square meters land area; Jalan Pasar Senen Dalam VII RW 04, Senen Urban Village with 1,058 square meters land area; Jalan Kramat Sawah RW 07 with 537 square meters land area. "All land areas are owned by Jakarta Government. Budget allocation per RPTRA is Rp 1.5 billion and its construction is targeted to done in 3-4 months," he stated.